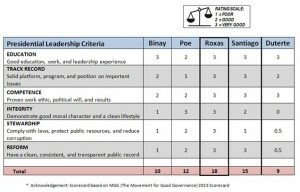 Integrity – Good moral character and a clean lifestyle – Duterte has made no secret of his womanizing – having 2 wives and 2 mistresses. Aside from his brash manners, including using profanity and indirectly insulting the Pope, he gets a zero. 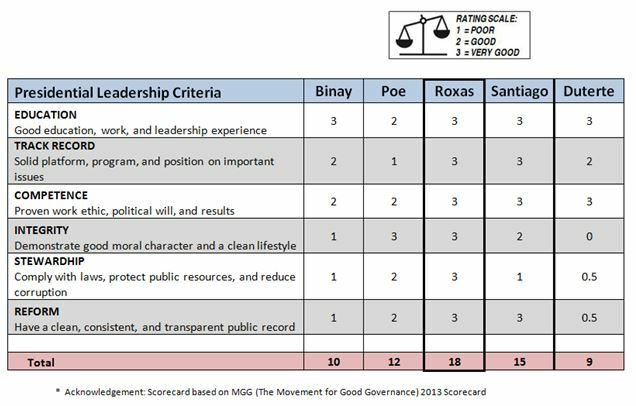 Reform – Tolerating and publicly declaring that he will kill criminals violates human rights and he is consistent in the way he handles people committing crime (the Duterte Way); he cannot get a 1 (and above) score though – because his public record is far from being “clean”. There is no place in a democratic society for the violation of human rights and all what we’ve gained form the dismantling of Marcos’ martial law will have been naught. Internationally, Duterte has been condemned for violating or espousing violation of human rights. 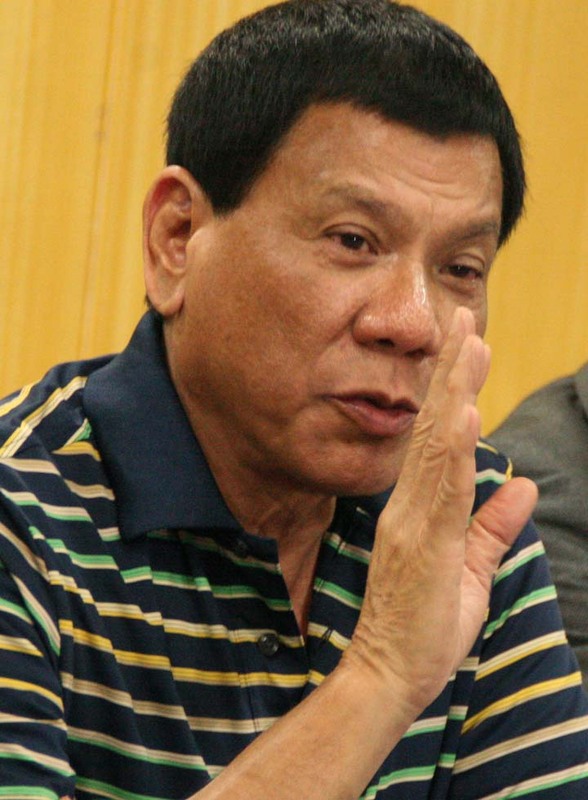 Duterte relishes and reinforces the bad boy image. He curses, he does not deny his womanizing ways, he is photographed with a high powered assault weapon, he speaks the speak, and walks the walk. And there’s this fear (or risk) about Duterte. He has the temperament and the leadership outlook that can lead to the reimposition of martial law. We hope not, but the character of the man as a badass is further bolstered by his being a self-proclaimed womanizer, his stance on getting rid of criminals (tolerance of extrajudicial killings), and his foul language and “five-finger” salute.